Soup has always been one of my favorite foods, and I don't mean homemade. I'm talking Progresso canned chicken noodle soup! Crazy, I know, but it's always been a comfort for me, especially in the winter! However, after going keto I knew that had to change. Not only did I cut back on all the processed foods I ate, but I upped the fat 10-fold. 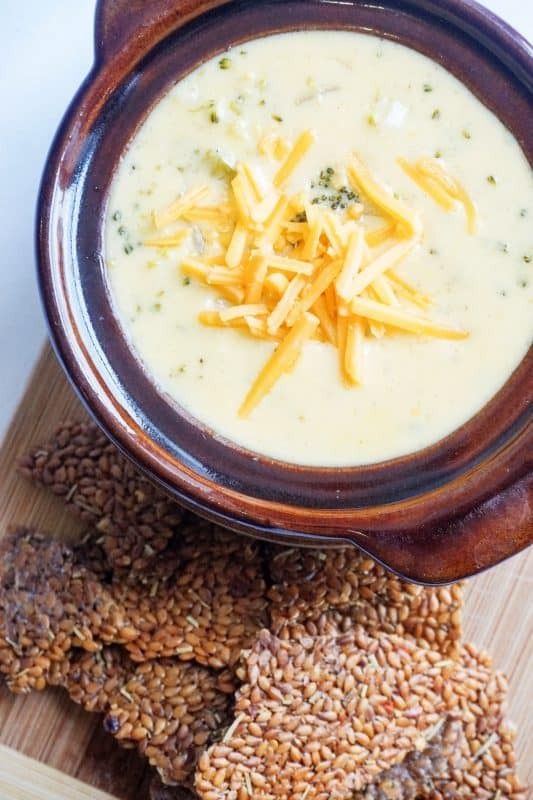 My new favorite soup is this Keto Broccoli Cheese Soup! The recipe is as simple as it sounds. 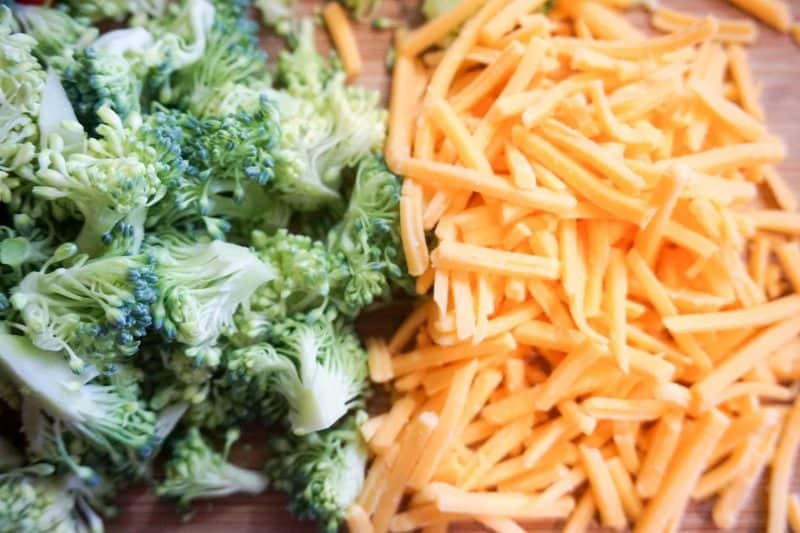 You're two main ingredients are broccoli and cheddar cheese. Anything else is just added to your liking. I'm a fan of celery and onion, so I went that route! Most low-carb soup recipes such as this one are minimal in their ingredient list which make them so great for the whole family. This one takes less than 30 minuets to whip up! Low-carb doesn't mean low in flavor. Most low-carb soups are packed with flavor and fat so you're not missing out on the noodles, rice or beans! Check out the 50 Best Low-Carb Soup Recipes if you can't take my word for it! Believe it or not, low-carb soups are some of the most easy keto recipes! 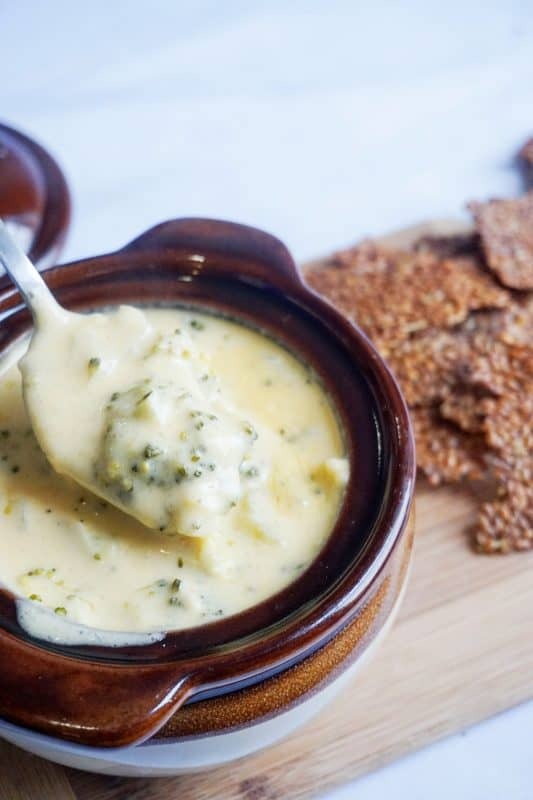 Now, I'm sure you're all wondering what I used to make this Keto Broccoli Cheese Soup as thick as it is. Well, the magic ingredient, or better yet the X factor as we've been known to call it is xanthum gum! If you don't have some in your cupboard, we highly recommend it. We've also used it in our Low Carb Green Bean Casserole and Keto Gravy which are two must make recipes! 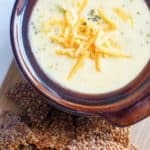 If you don't love soup surely someone in your family does so give this Keto Broccoli Cheese Soup recipe a try! Cut up broccoli into pieces, as small or as big as you'd like and set aside. Add butter, onion, celery, salt and pepper to a sauce pan and cook until onions and celery are translucent. Add broccoli and cook for additional 2-3 minutes or until broccoli turn bright green. Add chicken broth and heavy whipping cream and bring to a boil. Turn down to simmer and slowly add the cheese mixing as you add. Once fully incorporated add anthem gum and stir until soup thickens.